In order to sustain good health, each component must be addressed and sustained. When one component is off balance, there is a chance that your overall health will be off balance. It is that reason alone that my blog will not be pigeon holed to one aspect of health. Everything relates to health and to have good health, everything must be addressed. And I speak health. 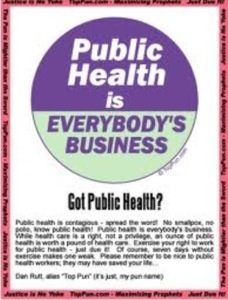 I hold a BS in Community Health from Hofstra University and a MA in Community Health Education from Brooklyn College. I am currently pursuing a MPH with a certification in Health Policy from Benedictine University’s online division. I recently launched” Maliyka is Health,” a health education consulting agency. I am also on the board of Coxall Health Information Center (CHIC), which is located in the heart of Brooklyn…, Bed Stuy. 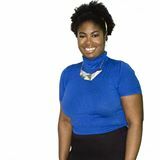 I am a recent member of the Junior League as well as other volunteerism based organizations. Near and dear to me is my sorority, Zeta Phi Beta Sorority, Inc. where I serve as the director of my chapter’s Stork’s Nest program, which is partnership between the sorority and the March of Dimes. Stork’s Nest has taken the charge to ensure that pregnant women deliver healthy babies by providing education. For me, health is more than a career. It is a passion. It is my life’s mission to one day see those people who are descended from the African Diaspora be able to complete 100% GOOD HEALTH. When you look at health statistical data, you will see over and over again that although we make up least amount of the population we are at the top of the list for some of the most life threatening diseases. From Cancer to homicide, we are at the top of the list of either having it or dying from it. I have made it my life’s mission to join the fight in ending these health disparities and creating policies that speak to the ending of these disparities. Am I expert…no. But I am educated. Join me as I educate myself while educating you on a multitude of things related to health that affect those that look like me and those that don’t. Have a question….want to make a comment…don’t hesitate to send me a message. I promise that I will respond. Until then…Be well.